Supreme Court nominee Brett Kavanaugh says he would have shaken the hand of a man whose daughter was killed in a Florida high school shooting if he had known who the man was. 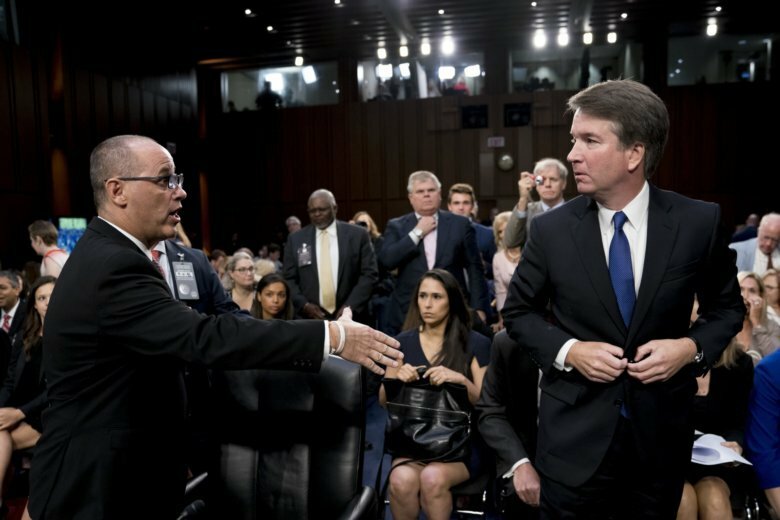 A photo of Kavanaugh appearing to refuse to shake Fred Guttenberg’s outstretched hand last week went viral. Kavanagh’s explanation was part of a 263-page response late Wednesday to some 1,287 written questions from senators. Democratic Sen. Cory Booker is releasing more “committee confidential” documents about Supreme Court nominee Brett Kavanaugh, even after a conservative judicial group filed a complaint to the Senate Ethics Committee about his earlier disclosures. The 28 new documents released late Wednesday are from Kavanaugh’s time in the White House counsel’s office during the George W. Bush administration. They show Kavanaugh’s involvement in judicial nominations, including for some controversial judges. Booker is being criticized for releasing the documents, which the Judiciary Committee is holding on a confidential basis that makes them accessible only to senators. The conservative group Judicial Watch wants an investigation. It delivered a letter Wednesday to the Senate Ethics Committee that asserts the New Jersey Democrat violated Senate rules against disclosing confidential documents and could face Senate expulsion.